This mod, by George Myers (patcoghm@sbcgobal.net), makes the horns beep when when the SmarKey buzzer sounds. First step is to remove the register, lower Instrument panel, and glove box. Follow steps 3, 4 and 10-14 below. Step 4 Not all steps are needed when removing the lower panel. We are going to let it hang and not totally remove it. Step 10 They call it the door stopper, but I call it the shock absorber. Step 11 These are the stoppers that keeps the glove box in. 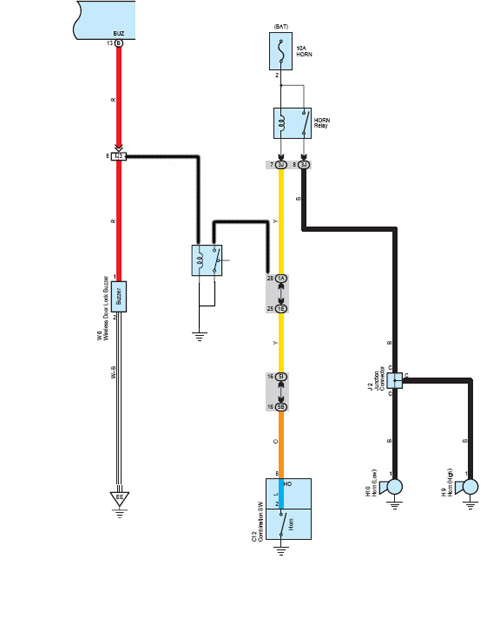 Step 12 - 14 not needed. 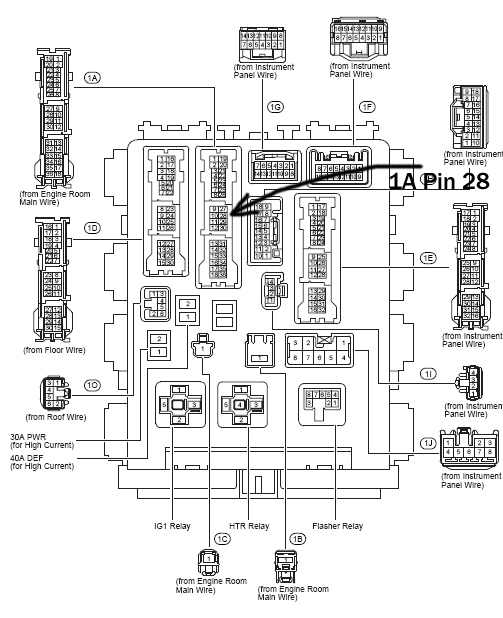 and attached to IJ3 Pin-8 and 1A Pin-28. 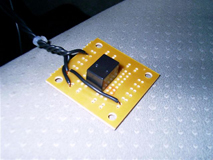 The circuit added is simple, cost less the $ 10.00, and is easy to make. catch stoppers will clear the side edges and will open to the point of hanging. 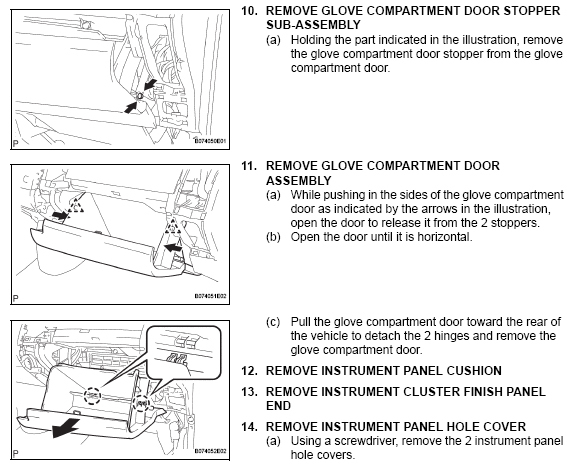 The glove box is attached at the bottom at two points and will pop off for removal. 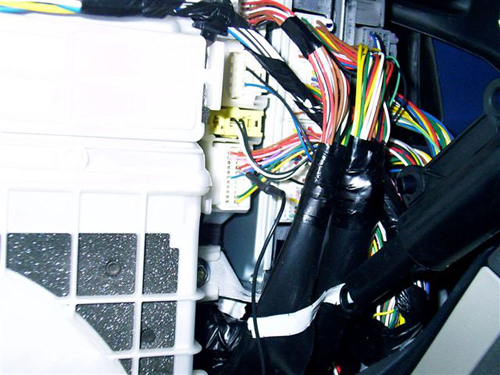 of the dash to the Drivers side junction box. 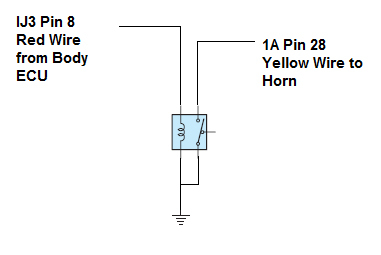 NOTE - This Pin can be easily removed to disable the horn sound for the normal beeper. The drivers side lower dash panel and vent register must be removed. 1. Pull the left air vent register backward from the top (Toward the rear of the car). that runs under the steering wheel. inches to the right and remove. out also. 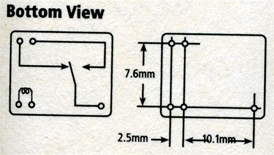 Separate these panels as the top half is not required to be removed. enough access area to attach the wires and the IC Board and Relay. box and the plugs as shown below. 6. 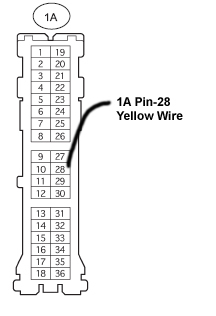 Plug 1A Pine 28 is shown and is a yellow wire. tape can be used to hold it in place. the plate was removed from. You can attach it with a connection lug or other method. 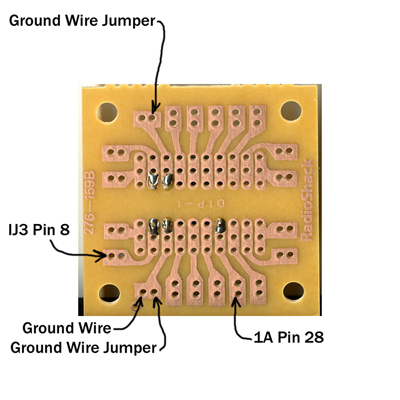 We now have the three wires needed to attach the circuit board. Alligator clip but not required. Size no. 24, 1 1/1 in. 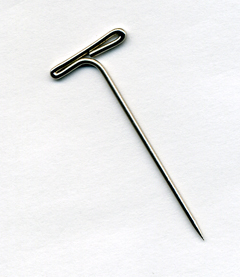 T-Pins, used in sewing. backed my wires into, via a stick pin connection. One alligator clip to connect the ground to the metal frame. 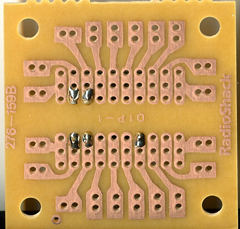 The IC Board side that components are attached to. 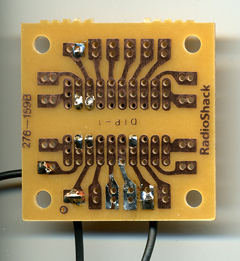 The IC Board side that we solder the wire leads to. leads sticking thru the IC Board to the copper etched side. suggest you duplicate this position. 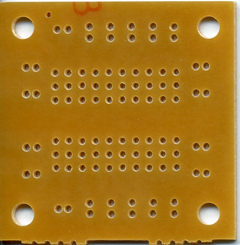 side (other side) thru the holes to the soldering side. 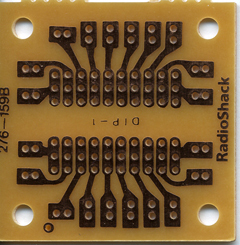 component side (other side) between the 2 points shown below. junction plug hole, located on the drivers side junction box. junction plug hole, located behind the glove box. that holds the metal plate removed to access our work area. of the relay. They are in the same orientation in both views. Solder the wires on the copper etched side. 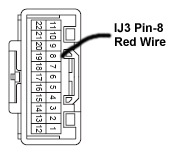 You now have three wires to connect as indicated above. sided tape will hold it in place, or a plastic tie will work.